Seel in game: 4,499 Who? Important notice! Pokemon Seel is a fictional character of humans. 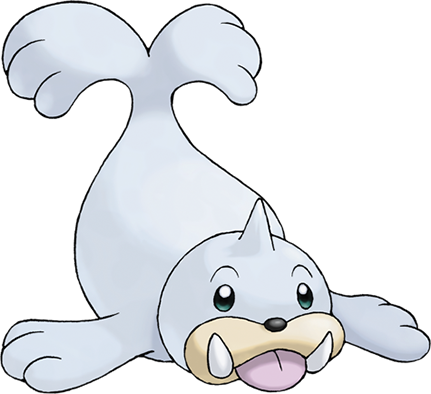 Seel is a pinniped Pokémon with a thick hide covered in bluish white fur. It has a pale tan maw with a large red tongue and a pair of tusks on its lower jaw. It has circular eyes and a black nose that is capable of closing while Seel swims. There is a small horn on its forehead, which it uses in combination with its tusks to bore through ice floes. It has two flippers on its chest, and two more on the end of its tail. When the tail is raised, it resembles a waterspout. Seel lives on icebergs in frigid ocean waters. Its warm fur and thick hide allow it to swim in waters as cold as -40°F. It thrives in these cold environments, becoming more active as the temperature drops. Preferring to sleep during the day, it hunts for prey under sheets of ice in the late day and evening hours. While it is a graceful swimmer, it is awkward and struggles to move on dry land. Multiple Seel that first appeared in The Water Flowers of Cerulean City are owned by Misty and her sisters at the Cerulean Gym. One of them evolved into a Dewgong. 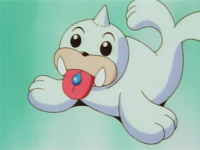 A Seel appeared in Misty Meets Her Match, under the ownership of Rudy's sister Mahri. A Seel living in the ocean surrounding Shamouti Island appeared in Slowking's Day. Multiple Seel were among the Pokémon seen at Professor Oak's Laboratory in Showdown at the Po-ké Corral and The Rivalry Revival. 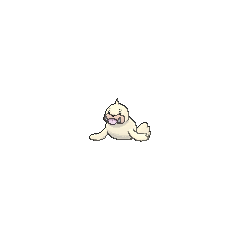 Multiple baby Seel appeared in The Joy of Pokémon. 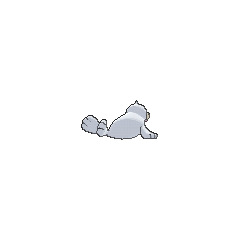 Multiple Seel also appeared in The Power of One. 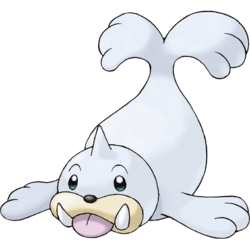 A Seel was among the Pokémon stolen from the Pokémon Center of Blue Point Isle in Around the Whirlpool. In Octillery The Outcast, Ash's Totodile went up against an unnamed Trainer's Seel in a qualifying match for the Whirl Cup tournament and won. Multiple Seel were among the feuding Pokémon at Professor Oak's Laboratory in Bulbasaur... the Ambassador!. A Seel was seen at a Pokémon Center in The Legend of Thunder!. Pryce of Mahogany Town owns multiple Seel in Nice Pryce Baby. Multiple Seel also appeared in Celebi: Voice of the Forest, Pokémon Heroes: Latios & Latias and Destiny Deoxys. A Seel is also briefly seen in Once More With Reeling!, in the Terracotta Town Contest. It composed an ice sculpture of a Glalie using Ice Beam. 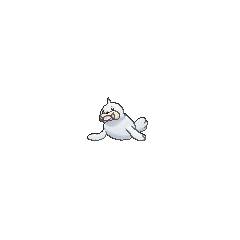 A Seel appeared in Historical Mystery Tour! under the ownership of a Clown. 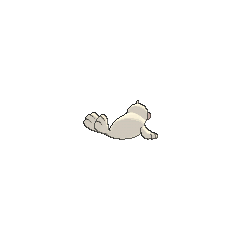 In Pokémon Adventures, Seel is the first Pokémon Lorelei owned which debuted in Can You Diglett?. As a child, Lorelei saw her Seel become poisoned due to the effects of nearby industrialization. Agatha, who was passing by, healed the Seel using her Gastly. This encounter with the negative effects that humanity had on Pokémon would be the motivation Lorelei had to join the Elite Four in a plot to destroy all humanity years later. Pryce owns two Seel that assist him in sculpting ice, which they first appeared in Irked Igglybuff and Curmudgeonly Cleffa. In The Last Battle XIII, a Seel was one of the Pokémon sent to help the fight in Ilex Forest.